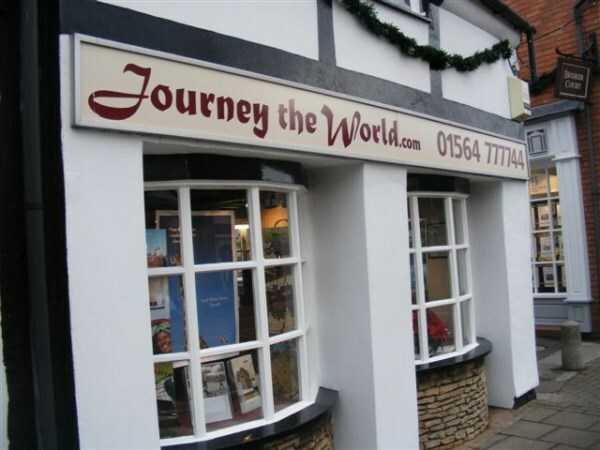 Journey the World is an independent travel agency which has been established for over 18 years. Our emphasis is on good old-fashioned personal service with expert advice and great value for money. Round-the-world cruises, villa holidays in Greece, safaris in Africa, ski-ing in Canada, weekend theatre breaks in London, trekking the Inca Trail in Peru, family holidays to Disneyworld in Florida......... these are just a tiny selection of arrangements made by experienced and knowledgeable consultants at Journey the World. We are members of ABTA and have two shops, High Street, Knowle 01564 777744 and Smith Street, Warwick 01926 400121.